If you’ve done a running or triathlon event in the area, you’re probably familiar with Focal Flame Photography. 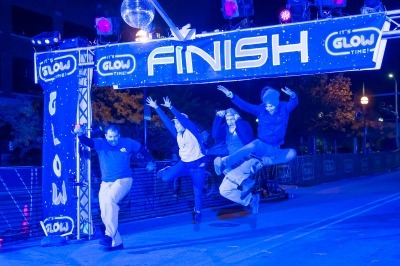 Proudly locally-owned, Focal Flame is a fixture at finish lines. After five years in business, over 130,000 individuals have passed by the lenses of Focal Flame photographers. That’s over half the population of Madison. No wonder everyone we meet looks a little bit familiar by now. But the origins of Focal Flame Photography reach back well before the company ever came into existence. 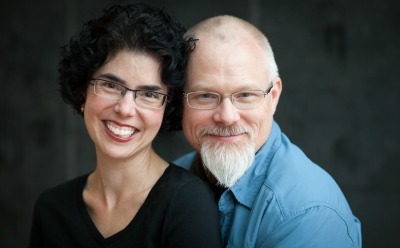 Co-founders Clint Thayer and Robyn Perrin met in the fall of 1993, on the first day of college. (Yes, it’s that corny.) They married in 1998. Cycling shaped their lives together when they started road biking on a whim after a buddy invited them to a charity bike tour, eventually racing as a tandem team. There was no scarcity of images in their minds: landscapes, fellow cyclists, sunsets. But mental images are impossible to share. And in time, they fade. As their family began to grow they stepped back from competition. But as Clint devoted more creative energy to photography, he was drawn to photographing people who were passionate about what they do - people who were reaching toward goals, who were propelled forward by their own energy and ambition. When he mentioned his thoughts to Robyn, she smiled - and in that moment, Focal Flame Photography was born. It took a leap of faith to enter an industry that was entering a period of rapid change, but over the years Focal Flame has grown to encompass a team of photographers, writers, and video production professionals. Everyone involved is dedicated to a single purpose: to capture the essence of striving. Some of Focal Flame’s guiding principles are to engage in projects and offer services that help ignite hope, foster connections, and encourage positive transformation. Aesthetics are key, and so are logistics. The team plans meticulously to map out every detail – when doing race photography, for example, there’s never a second chance to get the shot. Pairing writers with photographers is one of the most unique aspects of Focal Flame’s approach. “The writer can draw out story elements through interviews with photo subjects, and this ends up augmenting the way that the photographer approaches the shoot,” said Robyn. The team has produced a variety of text and photography projects ranging from an athlete narrative web series on Madison Marathon runners to 120-page books for individual clients. “Fostering synergy between writers and visual artists also feeds directly into our approach to video projects,” said Clint. After five years in business, Focal Flame has only just begun. Its founders and staff believe strongly in the power of individuals to create a better future. And they can’t wait to see the journeys that unfold for athletes, individuals, companies, and nonprofits in Madison – and beyond.